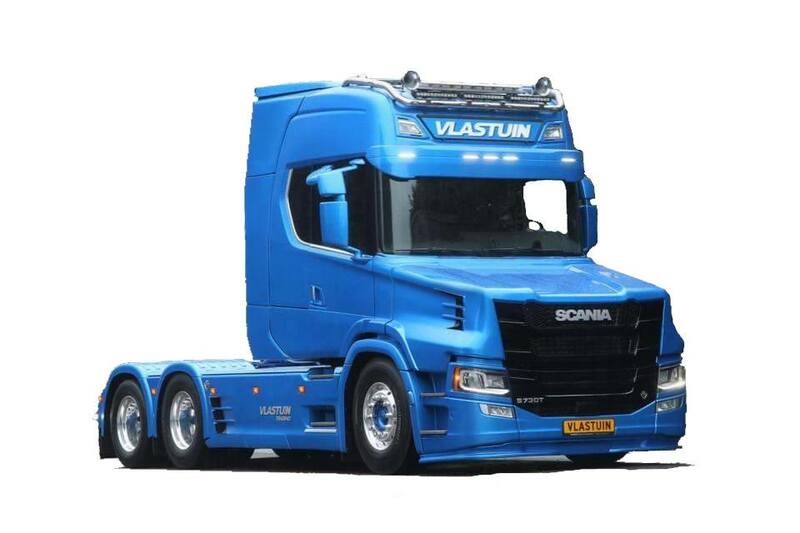 Dutch truckspecialist Vlastuin in Renswoude has started the production of the bonneted Scania ‘nextgen’ trucks. At this moment 12 trucks are sold and there are already three of them on the road. Vlastuin is now considering a second version of the new Scania T model. The first one is based on the S- cab with the flat floor. Now there is also a design for the R- model. If you ask us that is a beter looking truck than the massive S- model.